call a “tweener” which means the significant functions of the lodgeand lodge events is happening between the time you receive this message and the next lodge meeting and I am not able to report on those matters until they take place primarily in focus is our upcoming Entered Apprentice Degree. The balloting of nine candidates at our January meeting resulted in the approval of all nine and we will be conferring the EA Degree on the nine (9) candidates split into two dates. We have dispensation to confer six candidates on our formally stated degree date of Saturday February 2nd and then we will confer the remaining three as part of our program during our regular communication on Tuesday evening February 5th. I am again making a request of all active Harmony Past Masters to offer assistance in any capacity available as we confer degrees upon this large class of 2019. Please call me directly to discuss your willingness and level of participation. In our January meeting we also took on the painstaking process of updating our by-laws for the Doric Association. 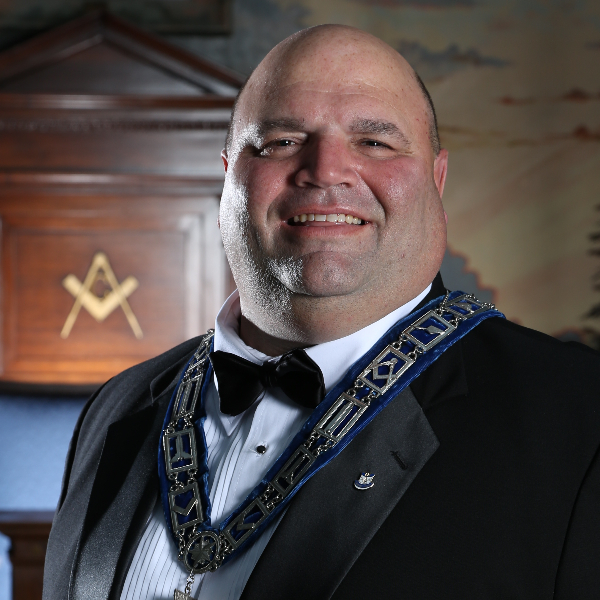 I wish to give a huge thank you to Brother Secretary Bob Kempf for yet another huge undertaking in researching and guiding the Doric Executive Board through the review process and presentation to the membership body. The language and format of the by-laws was well overdue by fourteen years and although the discussion was lively and sometimes spirited the revised by-laws were voted on and accepted by the necessary 2/3 majority of the members present to do so. If you wish to receive a copy of the revised by-laws showing the revisions please feel free to contact me directly or Brother Secretary. There is a full page advertisement for the Harmony Getaway inside this Trestleboard with all of the details about the weekend, I was able to reduce the cost per couple and maintain our amenities as well as add to our food choices in hopes that if you were on the fence about coming that you will please make every effort to attend. I hope to see you there!! To our Brothers who are not able to get to lodge frequently, I am extending to you a personal invitation to please come back to us and see the positive advancements that have been made at he Lodge not only in physical appearance but in the participation of membership as well. There is no better reason to come to lodge than to support your officers as we confer the upcoming EA Degree, you have two dates to choose from, I would like to see you at our regular communication but whatever date you can make I encourage you to please come, reconnect with the brothers who would love to see you. I can also assure you of a great meal on either date and again extend my thanks to Lisa Dupre and her team for the fantastic meals they prepare for us. Finally I wish to make a special note to direct you internally to the advertisement for our upcoming Game Dinner in March and encourage you as a member of the Fellowcraft Club to take the opportunity to serve your Mother Lodge in our biggest fund raising event of the year.